Playing foosball takes a lot of skill and creativity as well as love, mostly love. All professional, as well as semi-professional players of foosball, will tell you they have a preference of types of playing foosball men. 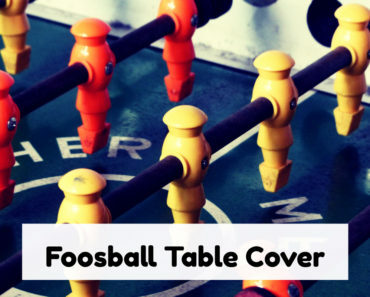 Manufacturers of foosball tables over the years have utilized the suggestions as well as their very own experiences to develop the best table imaginable. Playing men they have found to be the most talked about and rated based on how they are made. 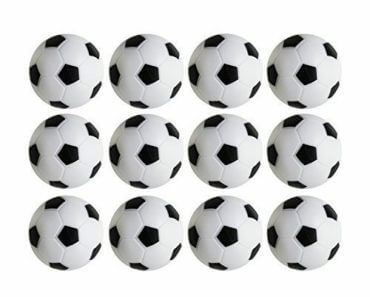 These are what make for the great playing of foosball accessories and how they are manipulated to make the winning shots. The above-mentioned types are just appearance, in order to give the men a certain mystery as well as the choice of taste for the foosball table owners, but whether they are ugly or handsome it does not matter. What matter is; the toes and how they are crafted. Some playing men are hand painted, some are molded while some are handmade and they all serve the same purpose. The Traditional and Old Tan foosball playing men are made with rounded toes. They are smooth and do not have the pointed tips which are needed to be able to attain proper ball control, as well as be able to make bank shots and snake shots and pass the ball from player to player on the same rod during play. 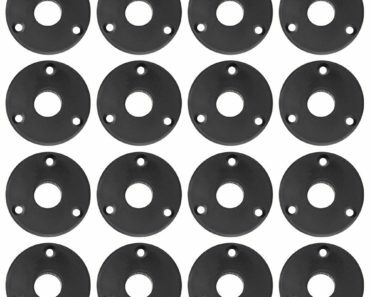 They are fixed to the rods with nuts and screws, which are heavy and does not help the foosball player to maneuver the men on the rods comfortably. It drags the game and is not easily controlled, while they may also cause the screws and nuts to come loose during play. They are not counterbalanced so they will not follow through on some plays which players may want to execute. They will just kind of swish around during play and prevent you from making shots, or may cause you to score in your opponents’ goal. 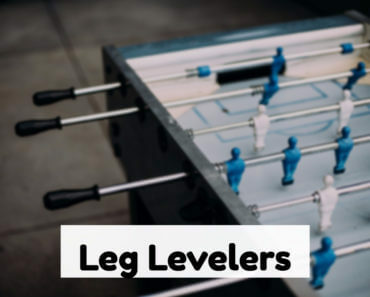 These types of foosball playing men are the newest in technological engineering and have proven to be very helpful for players. The cross-hatched toe is made with a pointed feature as well as grooved ridges which help in playing men being able to catch the ball, position the ball with the toes, rotate the ball and make difficult shots like the snake shot and bank shots. When making a bank shot the playing men need to position the toe so the ball can be hit off the side of the foot; when this shot is made you have a clear and precise direction that the ball goes into during play. With a rounded toe style playing man this shot is not possible. 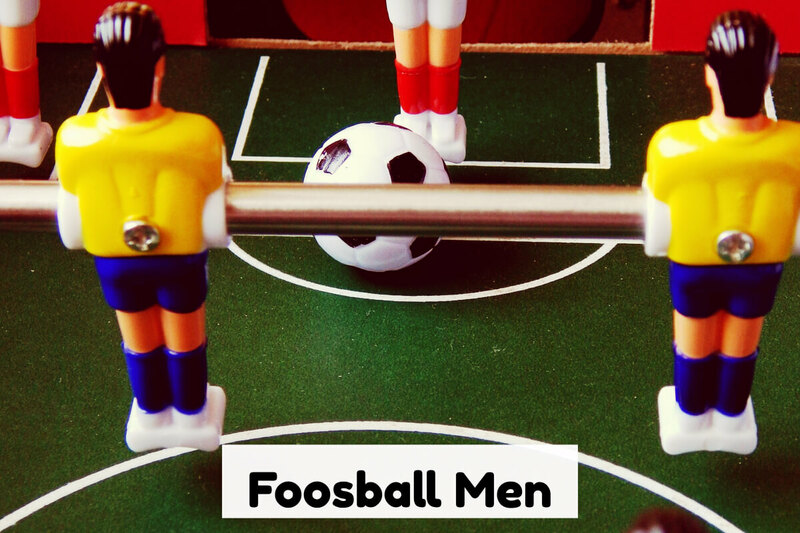 The cross-hatched toe playing men also have a greater advantage for foosball players, as they are counterbalanced. This means they are made with weights in both the feet and the head. Both weights are equal in heft and will enable players to balance their foosball playing men in a horizontal position and they will stay in this position out of your intended play until needed. This enables players to make shots and maneuver the ball at will. With counterbalanced playing men, you are able to make powerful shots because of the weights in the toes. Just imagine a football player making a powerful shot for the goal on the Soccer field; this is the kinds of play you are able to make with counterbalanced, crossed-hatched toe playing men, during your much-energized games with friends and family. Buse of the much-energized plays during games of foosball, playing men will get damaged. It is important to examine your players periodically to see what condition they are in. Playing with a damaged man will be counterproductive, as the game will not be as enjoyable. Just imagine on a Soccer field playing a very important match, and you have one player injured, yet he is allowed to play through, the match will be less enjoyable and the player will become even more at risk for getting the worst injury; the same disadvantage for your foosball men if you continue playing with a broken or damaged piece. Foosball men can be replaced as an individual piece, or should you choose to replace the full set you may purchase them from your local sports store or online at Amazon. They have competitive prices on whatever playing men you require. Replacing a damaged foosball playing man if you have done it before will require less effort than if you are a newbie. This daunting task may look like brain surgery, but in fact, it is not. Assess the extent of the damage and you will be able to determine how to proceed. Depending on where the damaged man is, you will need to remove him. If he is at the end of the rod, then he is an easy replacement. If he is from in the middle of the rod then you will need to remove all playing men closest to the end of the rod to get to him. First, you need to spread the cleaning rag under the rod; this will catch any chipped pieces that may come off while removing the man. Place the bracer block under the rod on top of the cleaning rag; this will protect the rod and prevent it from warping or bending while hammering the pin out from the playing man. Remove the pins from the men and slide them off the rod. Replace the damaged man as well as put in a new pin, as this may have been the reason for the damage. After installing the new man, you replace the others. Maintenance of your foosball playing men is very important as well as maintenance of the table. A quick check of the table after a play is advised, so you will know what status your table is in before the next use. Making these checks will ensure longer life and usage of your foosball table.